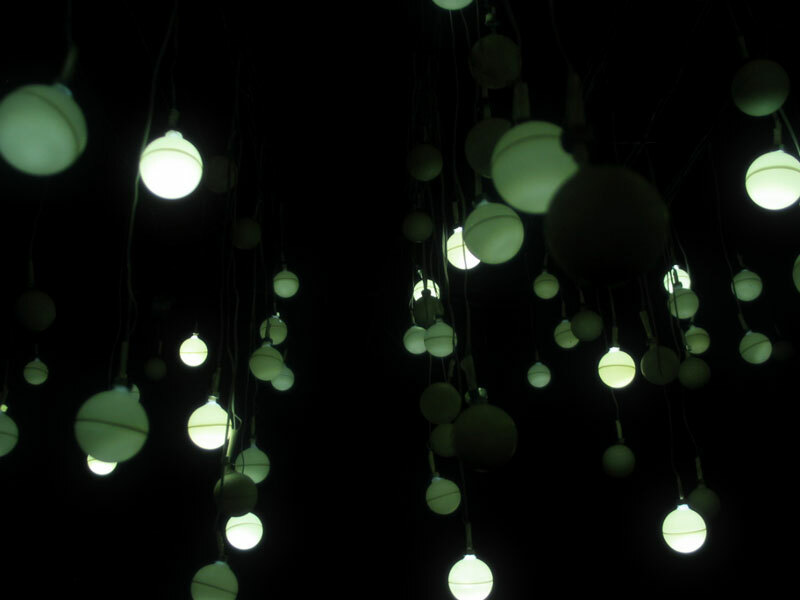 Nocturne is a sculptural light installation that intends to provide a visual analogue to the presence of music, particularly the playing of a piano, in a space. This project was originally created to bridge the spaces of the old MIT Media Lab building, E15, with the new building, E14. Frequently, students play the Bösendorfer 290SE in the lower atrium of E15, a fondly regarded feature of the building. As the piano would not be moved into E14, Nocturne was created to bring an impression of the piano playing into the new space. Nocturne records and analyzes the sound of the piano being played. 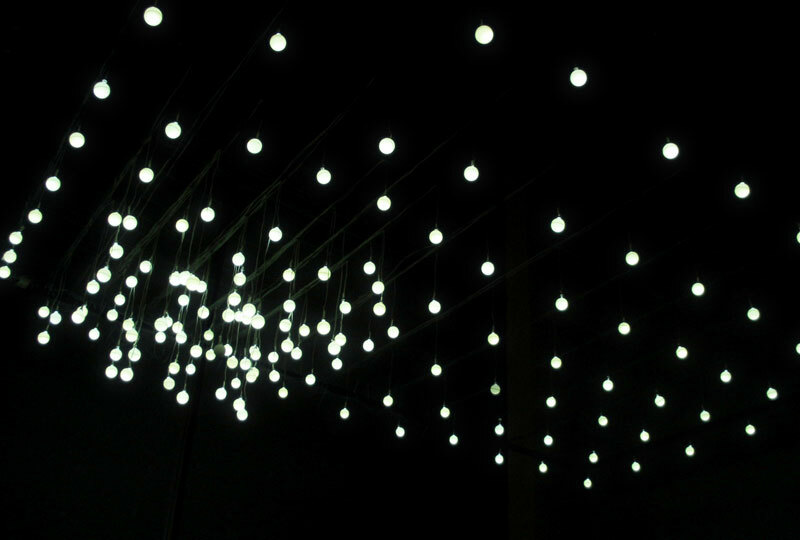 Specific features and parameters of the performance are transmitted to the installation located in the adjacent building. 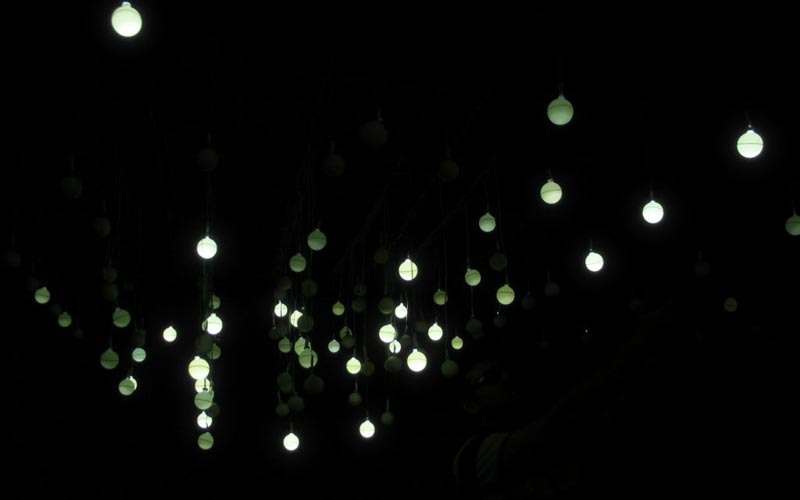 There, a suspended arrangement of glowing orbs represents the unique expressive quality of the piano's sounds in a different modality.